I love Easter because for me it means Spring has finally arrived. 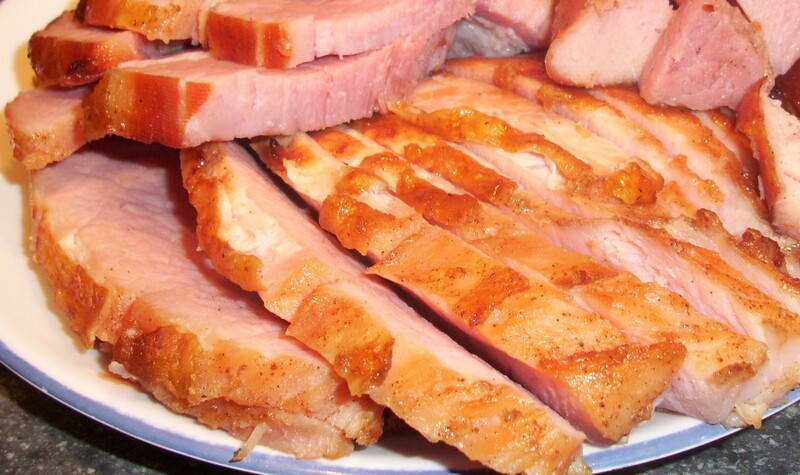 Although I have had turkey and roasts on Easter to me this holiday is all about ham. You can use whatever ham you like here, bone in, boneless, precooked or not. Just follow the instructions on the wrapper for cooking instructions. I used an uncooked bone in ham here. I created a delicious glaze from ingredients I had on hand including some sherry I had to use up. 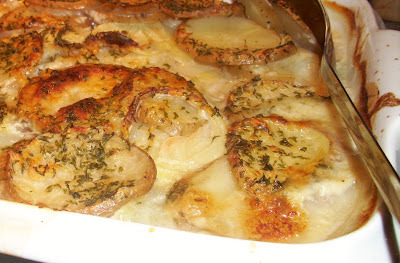 Nothing goes better with ham then scalloped potatoes or potato gratin if you add cheese. A Mandoline makes slicing the potatoes and onions thin super easy. Just remember to use the safety holder between you and the vegetable! Place ham in roasting pan and place in the oven. In a sauce pan combine the rest of the above ingredients. Heat over medium heat until thickened. During the last half hour brush the ham periodically with the glaze. Cook until internal temperature reached 160F. Slice and serve with Potato Gratin. 2 pounds of potatoes sliced thin. Wash and slice potatoes as thin as possible. Slice onions thinly as well. In a saucepan heat the oil. Add the flour to make a smooth roux. Add the cream and milk while whisking until you have a creamy sauce. Add the garlic and salt and pepper. Rub a casserole dish with softened butter. Layer the potatoes and onions. Pour the sauce over top. season with parsley and salt and pepper and add cheese over top.